Hanji Naty (한지나티): Thank you for your support! Today we have reached nice milestones that I would like to share with you! 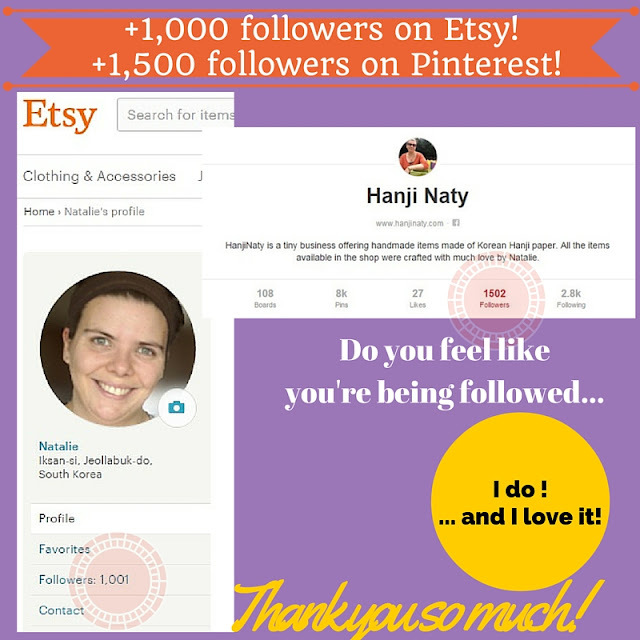 HanjiNaty has now more than 1,500 followers on Pinterest!! On Etsy, I personally have now more than 1,000 followers! My shop, HanjiNaty, has over 1,300 admirers, too! That's simply amazing!